Includes the names: Willam W Johnstone, William W. Johnstone, W. William Johnstone, Johnstone. William W.
William W. Johnstone was born in Southern Missouri, the youngest of four children. Raised with strong moral and family values by his minister father, and well-tutored by his school teacher mother, Bill quit school when he was fifteen. He was kicked out of the French Foreign Legion for being under age and joined the carnival. But still valuing his education, he returned home to finish his high school education in 1957. He went on to work as a deputy sheriff, did a hitch in the army, and began a career in radio broadcasting, where he worked daily on his verbal and storytelling skills for the next sixteen years on the air. Much of his knowledge of the early frontier began from listening to family experiences told to him by his Grandparents. His love of animals is displayed in many of his books as well as finding several Huskies and Malamutes roaming freely around his home. As an avid gun and knife collector, hours of research are devoted to the types of weapons commonly used during the eras of his writings. One little known fact, is his love for music ... from "rockabilly to classical". Bill has written and recorded several songs which may be released for his fans in the future. He started writing in 1970, but it wasn't until late 1979 when The Devil's Kiss was published that William W. Johnstone became a full-time writer. Since that time he has written over two hundred books in a variety of genres including action, suspense, western, science fiction, and horror. Two of his books, Eagle Down and Dagger, were written under the pen name of William Mason. William W. Johnstone's book Wyoming Slaughter : A Cotton Pickens Western was available from LibraryThing Early Reviewers. William W. Johnstone's book Carnage Of Eagles was available from LibraryThing Early Reviewers. William W. Johnstone's book Matt Jensen, The Last Mountain Man The Eyes of Texas was available from LibraryThing Member Giveaway. 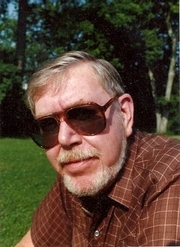 William W. Johnstone is currently considered a "single author." If one or more works are by a distinct, homonymous authors, go ahead and split the author. William W. Johnstone is composed of 5 names. You can examine and separate out names.